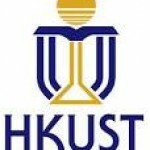 The Hong Kong University of Science and Technology (HKUST) is one of the nine universities and among the eight institutions granted by University Grants Committee in the territory. The University currently consists of five Schools, namely Business & Management, Sciences, Humanities & Social Science, Engineering, and the Fok Ying Tung Graduate School. HKUST has been consistently viewed as one of the top three research universities in Hong Kong.